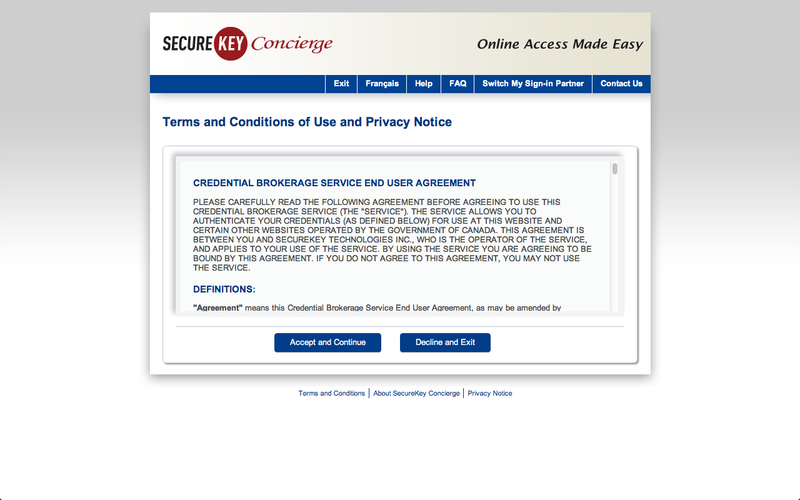 Service Canada now uses the SecureKey Concierge identity broker service. 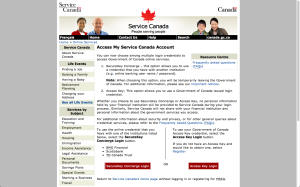 This new service allows Canadians to access services using their online banking credentials. 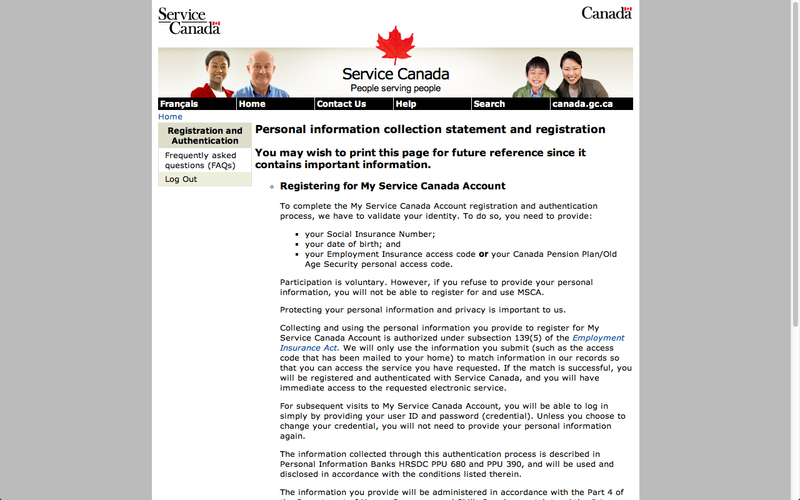 This may be the first federated identity implementation in Canada targeted at citizens. 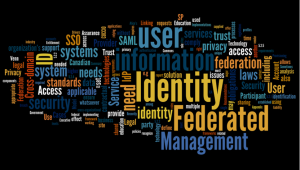 Until now, Fed ID implementations have been limited to higher education and industry federations. Note that the government has kept their own Access Key as a login option. 3. Select your bank from the list. 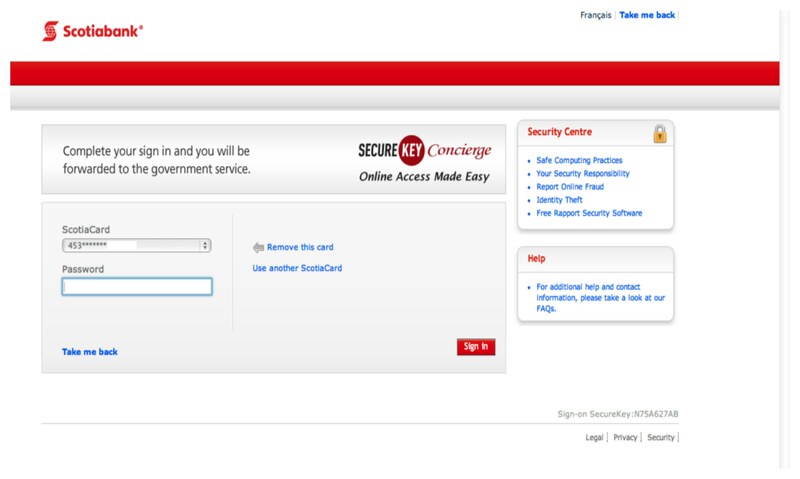 The service then redirects to a customized bank login page (Scotiabank in my case). 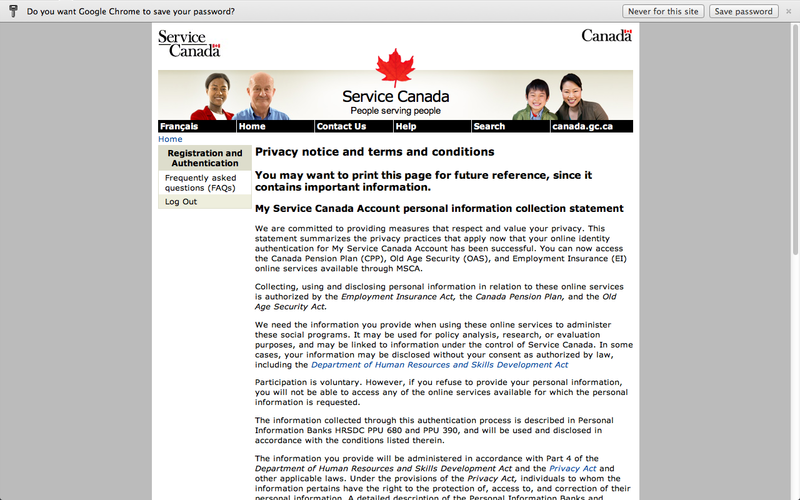 Note that this page is different than the bank’s regular online login page – the look, content and URL are different. 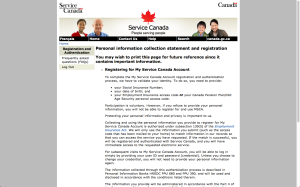 This is where Service Canada enrols you into their service by asking for selected shared secrets: SIN, DoB, an access code and your province of residence. Note that your name is not passed in from SKC, and it appears that your name is not needed on this screen to confirm your identity. Service Canada provides an SKC login option. 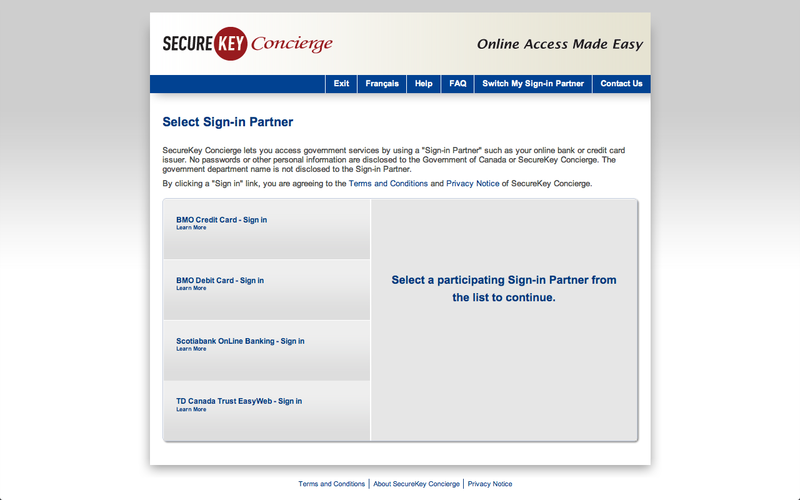 SKC allows the user to select their bank login from a discovery service (page with list of partnering banks). 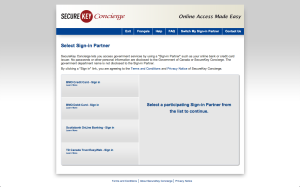 The bank login page is a modified version of what the user is familiar with. 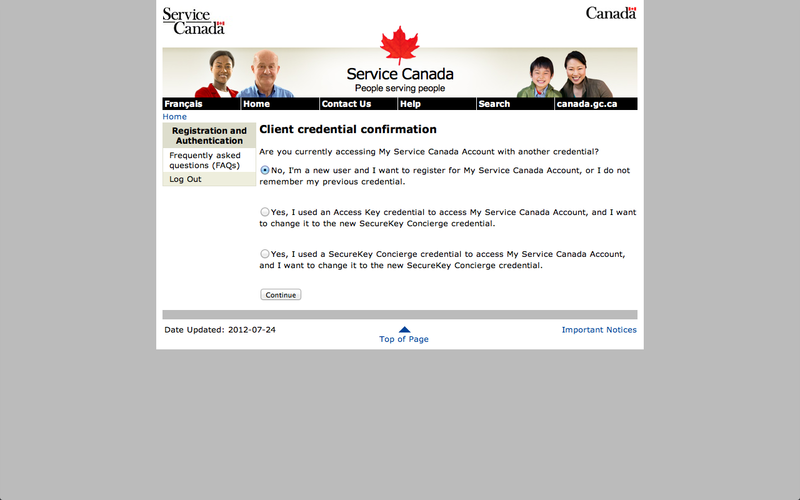 The user logs in using their regular online banking credential. 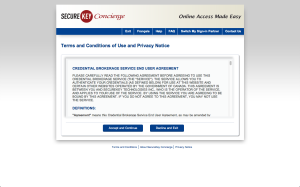 SKC’s terms are displayed and agreed to by the user. 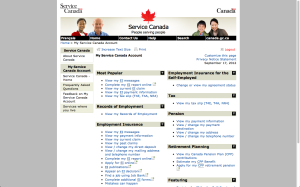 Service Canada then takes over and walks the user through service-specific enrolment pages. The user accesses the service. Time for me to complete: 5 mins, 18 seconds. Once enrolled using the above steps, returning to the service is simpler because the link between your bank credential and the service is maintained. 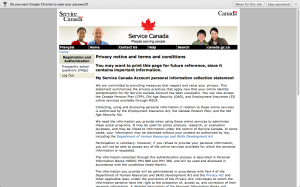 This link is anonymized so that the bank is not aware of what service you accessed, and Service Canada doesn’t know what bank credential you used. 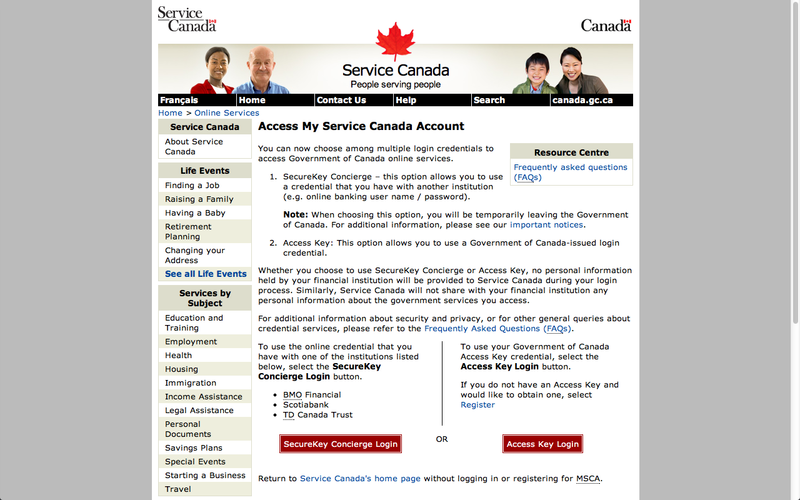 When returning to the service page, select the SKC login option. 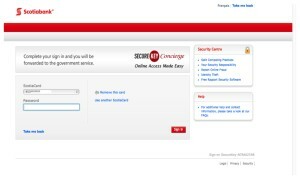 Select your bank and login. 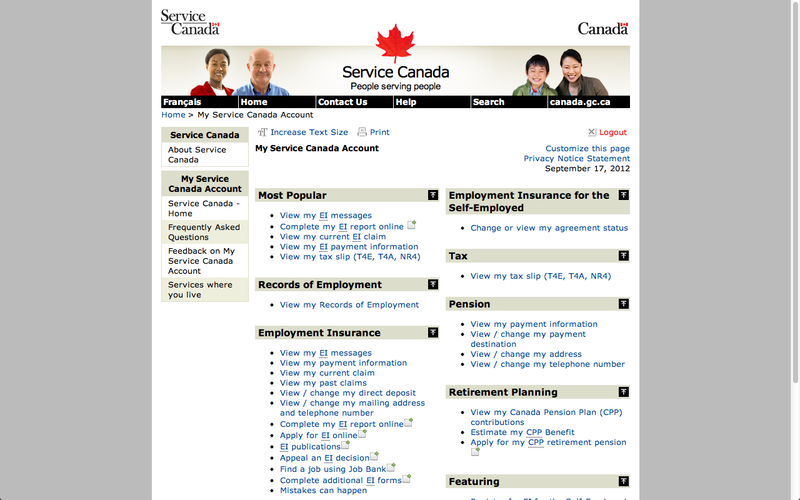 You then get access to the service without being prompted for enrolment information. Aside from the technology and user experience, there is a lot going on here. Join the discussion at LinkedIn – Canadiam. 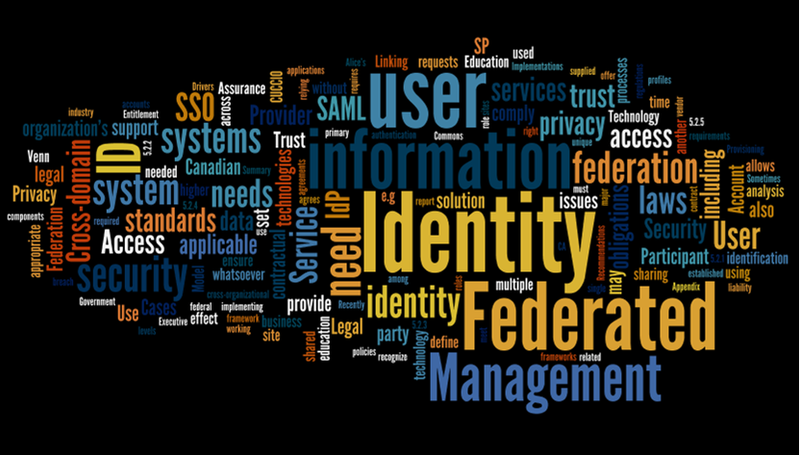 My clients find identity solutions to be complex and costly to implement. For mature and/or large enterprises, these issues are simply a cost of doing business — and compliance or online strategic drivers are usually sufficient to fund and launch an IAM initiative. For the smaller enterprise there appear to be two paths followed: do nothing or do it poorly. When done poorly, shoddy IAM implementations can result in poor credential management, lousy availability and inappropriate access controls. 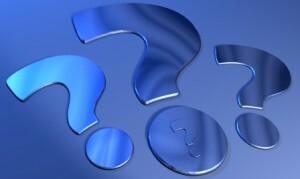 So how does a smaller company or organization deal with identity properly? How can users be efficiently identified online without building expensive, custom solutions? What service levels and supports are possible for a login service when staff go home at 5pm? How can niche needs like strong authentication be met without excessive server license costs and complex implementations? Symplified offers a full IAM service that promises plug-and-play integration with surprising depth, including support for mobile devices and apps. PhoneFactor has a slick and secure solution for two-factor authentication that can be licensed on a per-use basis. TransUnion have a robust identity proofing service for the critical process of confirming the identity of an online visitor. Using one or more of these solutions allows for rapid deployment of IAM for smaller organizations. The cost savings are considerable and services levels are beyond what most companies could hope to provide on their own. 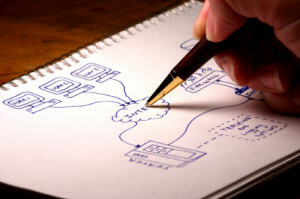 There still remains integration work — applications need to be ‘plumbed’ to inter-operate with the cloud solutions — but all the heavy-lifting of designing and configuring a solution is eliminated. 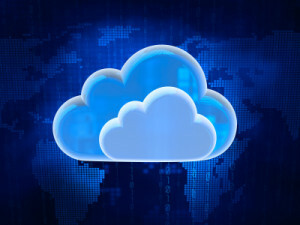 The maturation of cloud IAM solutions means an increased number of companies can implement secure and compliant solutions without the long lead-times and high cost of traditional product-based offerings. In this age of rampant data breaches and increased focus on compliance, this is a welcomed development.